A Towing and Roadside Assistance Service Company in Philadelphia, PA releases helpful information for drivers about emergency towing and roadside services they may have not known they have available to them with their credit card companies. A Philadelphia, PA towing and roadside service company has released an article pointing out that while many drivers may not consciously make the effort to maintain a motor club membership that supplies them with services such as emergency towing, fuel delivery, car lockout, or flat tire change services, they may still have access to services such as these through other memberships they hold. 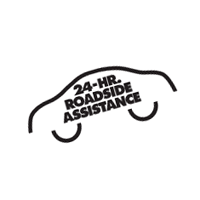 The article states that many vehicle makers now offer detailed roadside assistance service programs that are automatically included with the sale of their vehicles. Whether drivers lease or purchase a vehicle, truck, or SUV, the article suggests they should contact their car dealership to see if Roadside Service benefits are included. The article further states that drivers may have roadside assistance service as an advantage of carrying certain credit cards. Credit cards such as American Express for example, have their Roadside Assistance Hotline and the benefit is explained on their website. Their website states they provide services to U.S. Card Members such as towing up to 10 miles, winching, jump starts, flat tire change when the Card Member has a workable spare. Also mentioned are vehicle lockout services when the car key is in vehicle and delivery of up to 2 gallons of fuel at no additional cost up to 4 times per calendar year when the Card Member is present with the eligible vehicle. The article states that drivers may want to check with any credit card companies they hold memberships with to verify if their benefits include some type of towing and roadside assistance services. Drivers will want to make sure they understand this benefit for their specific credit card membership because they are not all the same. While some offer complimentary roadside services for a certain number of requests per year, others only supply a 24/7 toll free number to request roadside service and the card holder has to pay “per use” for those services. Drivers that find themselves in an unexpected roadside emergency however, may feel that having 24/7 access to help even though it’s not complimentary is better than not knowing who to call.